What encourages or deters Biharis to invest in Bihar?? Biharis are migratory birds from centuries; No or Yes. A part yes and a part no!!! No because migratory birds return back but most Biharis never ever return to Bihar. Yes because Bihar lives somewhere with them and certain small percentages do return back to Bihar. The very reason that Biharis, as compared to others like South Indians, do not invest in Bihar because most of them never plan to return back to homeland. 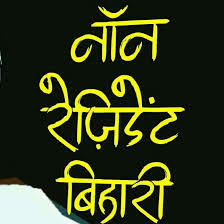 A good Bihari is one who is outside Bihar. If a student is studying in a college in Bihar, he is not a good student, why he did not go to universities in other state. If a young Bihari is working in his own state, but for SARKARI naukri, he is no good. In middle class Bihar it’s a shame for a father that his son is working in Bihar. A successful Bihari father asks his son to buy a FLAT in metros as soon as he gets into a job and PAPA is proud to make the down payment for it. SAD but TRUE, isn’t it!! 4.42 million (Bihar has a population of 11-12 crores) people migrate out of Bihar every year, according to a 2009-10 report by the Indian Institute of Public Administration. Migration out of Bihar began in the late 19th century when colonialism broke its traditional industries. Those days, people from Bihar went to Surinam, Mauritius and Fiji as unskilled workers. The domestic migration out of Bihar was mostly to West Bengal. Some moved to the tea gardens of Assam and plantations abroad. Unskilled workers form the bulk of migrants from Bihar. The state recently overtook Kerala as the largest exporter of unskilled workers to the Middle East. What attracts these migrants is the higher wages outside Bihar. However unfortunately, migration from Bihar isn’t as well researched or documented as the migration from Kerala to the Middle East or from Punjab to Canada. One view on migration argue that with flow of migration, counter flows of capital (remittances and investment) and knowledge are also generated to area of origin, which can be invested and are believed to subsequently stimulate development and modernization of area of origin in our case Bihar. Is it happening in Bihar? To an extent yes, in villages in families in form of remittances and consumerism BUT the big money is not coming. In fact the middle class Bihari is investing in real estate outside Bihar, just look at Metros and even towns like Pune. The resource rich Bihar can see reversal in trends with a growing economy and increased urbanization in Patna. Additionally a change in Psyche that grass is not so green outside Bihar.